“There is such a great energy as you walk through a crowd that is getting ready to run.” After months of preparation, Niles-Buchanan YMCA Thanksgiving Day Run race director, Jill Haboush, loves the culmination of the day and her own tradition of working her way through the thousands of runners and walkers and clicking pictures of the friend groups, families and annual participants. 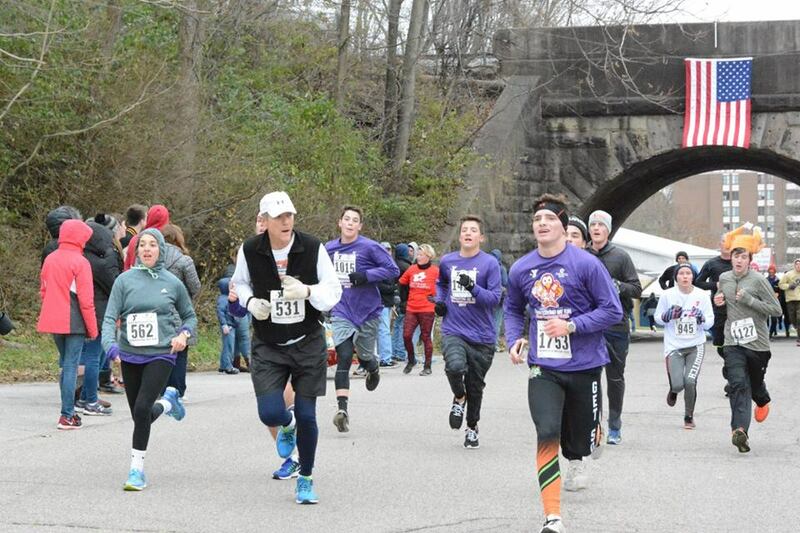 Jill always keeps an eye out for a few participants in particular, like Charlie Frey, Jerry Hoffman and Bob Smola, who have each run in every race for the past 36 years. There is also Theresa Pipher, a marathon runner, who has participated in all but one year and who created the beautiful race T-shirt quilt displayed in the YMCA lobby. Furthermore, it’s just pretty cool to see all the clever, festive and wide array of outfits donned by the participants, Jill said. The 10K, 5K and 1 Mile Fun Run are back to their original routes after the bridge construction was completed in early 2017. Over 125 volunteers help out with everything from filling race bags and working packet pickup to providing direction and encouragement to runners on the course. In conjunction with the area police, 15 reserve police officers volunteer to help keep the course safe. Several families forego participating in the event just to volunteer together. This has become their holiday tradition to volunteer as a family serving food, manning water tables, working directional signs and ringing cowbells. Even the DJ team is a father-son duo volunteering each year to handle announcements and music. 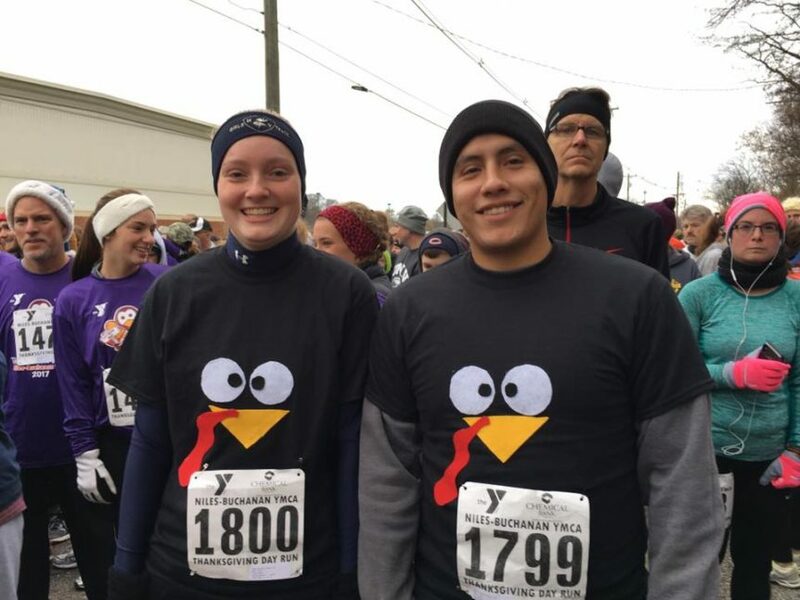 With so many reliable volunteers, Jill is grateful for one other tradition – she is able to run. “Now that’s pretty cool,” she adds. Chemical Bank returns this year as the presenting sponsor with many other community businesses joining in with support. 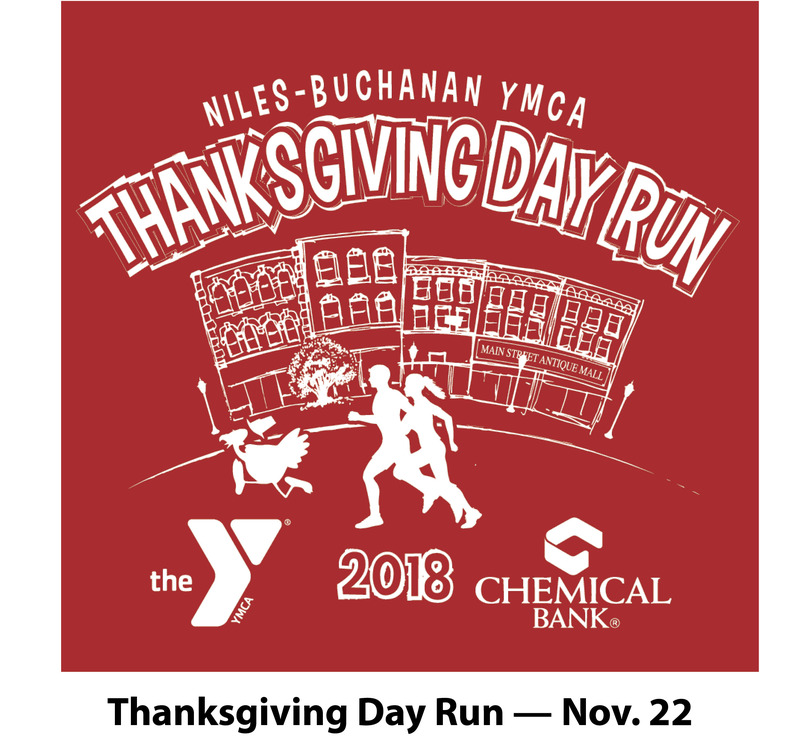 The Niles-Buchanan YMCA Thanksgiving Day Run proceeds benefit the Y’s annual campaign, which supports youth programming including Summer My Way® , Y-Club after school programs, youth sports, and community outreach water safety, to name a few.